Leading hot tub and swim spa specialists will be helping SPATEX organisers to celebrate the ‘sold out’ 20th anniversary edition of the wet leisure extravaganza that will be securing a hat-trick of appearances at the Ricoh Arena. The majority of SPATEX’s history has been forged in Brighton but the annual exhibition is once again set to make a splash at the West Midlands-based venue that will be packed out from Sunday with a bumper crop of exhibitors this time round and forecasts predict they are set to receive busy levels of visitors to their stands. After embarking on the transition process from the south coast to Coventry for its inaugural appearance at the Ricoh Arena in 2014, the event fully cemented its new foundations during last year’s 19th edition in the venue’s Jaguar Exhibition Hall. Since then the wave of publicity and marketing for the special 20th anniversary edition has hit top gear, which ensured the ‘sold out’ signs were posted up in early December; thanks to a surge in exhibition stand bookings. The band of over 120 exhibitors appearing from Sunday, January 31, to Tuesday, February 2, in Halls 1 and 2 of the Jaguar Exhibition Hall, includes a host of SPATEX stalwarts, major distributors, and leading hot tub and swim spa product brands including: Astral, Aqua Spa Supplies, Aqua Via Spa, BAYROL, Beachcomber, Caldera Spas, Certikin International, Coast Spas, Cove Spas, Dynasty Spas, Elite Spas, Fantasy Spas, Garden Leisure, Golden Coast, Hydrospares, Passion Spas, Plastica, Pollet Pool Group, Procopi, SCP (UK), Spa Crest, Superior Spas, Tuff Spas, and Wellis. Among the long list of exhibitors is a group of companies that have never been seen before at SPATEX. 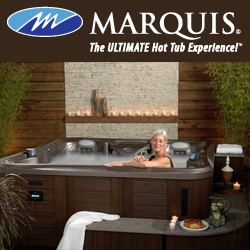 They will be making their debuts and exhibiting at the 20th anniversary edition to help forge greater alliances with hot tub and swim spa retailers and increase their share of the market. Meanwhile, returning to the SPATEX exhibition format but making their debut at the new host venue home at the Ricoh Arena, after previously showcasing their products and services at the annual SPATEX event in Brighton, will be Canadian hot tub and swim spa brand Coast Spas. In the past A5 Spas chief Mark Anthony and his dedicated hot tub and swim spa team, including family members, have boosted the promotion of Coast Spas by providing assistance at SPATEX exhibitions in Brighton and Europe. Representatives for the award-winning Coast Spas brand will be helping to increase awareness for the brand’s wide range of distinctive models and latest design options on Stand H15 during the SPATEX outing. Previously Coast Spas has showcased its distinctive infinity edge hot tub models at SPATEX to gain a loyal band of British dealers after successive exhibition appearances when the event featured at the south coast resort. Since making its last outing at the wet leisure showcase in Brighton the manufacturer has hit full throttle and ramped up hot tub and swim spa production to full capacity. While meeting the growing demand from international dealerships and their customers Coast Spas has landed a 2015 WhatSpa? Best Buy Award for the eight-seater Mirage Curve Elite to add to its previous accolades from the consumer magazine. As well as its distinctive latest hot tub models, Coast Spas will be highlighting a flourishing swim spa range including the newly-launched Wellness Infinity model. It has been introduced to the market as the world’s first infinity edge portable swim spa to build on its Wellness swim spa stable that includes the 2015 WhatSwimSpa? Best Buy Award-winning Wellness II model. With a non-float lounger among the three seats adjacent to the swim area, the unique design feature of the Wellness Infinity is the infinity, or vanishing, edge. The Canadian manufacturer has successfully incorporated this unique feature in its popular Cascade Series of hot tubs, including the 2015 WhatSpa? Best Buy Award-winning seven-seater Luxury Cascade II that has received successive recognition in the £12,000+ price category. “We have the experience to provide professional support and advice,” said Mark, whose company has racked up a host of awards and glowing testimonials following lavish installation projects involving Coast Spas hot tubs. Other companies joining Coast Spas for the first time at the Ricoh Arena after previously appearing as SPATEX exhibitors in Brighton will be: Total Water Products/Lo-Chlor, ProMinent Fluid Controls, JetStream UK Ltd, Sterling Hydrotech, and JAK. “We’re delighted to be welcoming so many new exhibitors to our Ricoh Arena venue,” proclaimed SPATEX organiser Michele Bridle. The 20th anniversary edition has also experienced a surge of pre-event registrations by representatives from the wet leisure trade and Michele believes this will translate into a vibrant exhibition and busy levels of footfall for the exhibitors. Certikin International has been a steadfast supporter of the SPATEX exhibition for many years and will once again be repeating its traditional major presence on Stands D10 and D14 in the Jaguar Exhibition Hall to showcase its wide range of hot tub models and pool accessories options; as well as highlighting exclusive launches of new products. These will include a new electronic version of the Roldeck EasyCover and OC-1, which has been proclaimed as the ‘future of swimming pool filtration’. The wet leisure powerhouse is among a small band of exhibitors that have booked double stands for the 20th anniversary edition, which will highlight its formidable status as one of the UK’s leading manufacturers and suppliers, as well as being able to provide a truly one-stop-shop service for its growing customer base. With a wide range of pedigree hot tubs and swim spa options sitting alongside its choice from a flourishing catalogue of swimming pool products and accessories, many of which are featured in the inaugural issue of WhatSwimmingPool? magazine, Certikin’s stands will once again be attracting large levels of footfall from current and prospective customers as they have done during the long run of previous SPATEX appearances. As well as promoting its blossoming partnership with Catalina Spas to provide USA-manufactured swim spas to its growing dealer network, Certikin will also be heavily promoting its established exclusive UK distributor status for the Caldera Spas hot tub models. These USA-manufactured models include the top-selling WhatSpa? Best Buy Award-winning Marino from the Vacanza Series; as well as the imposing eight-seater WhatSpa? Best Buy Award-winning Cantabria from the Utopia Series that Certikin has been supplying to its network of dealers serving the British market from California-based Watkins Manufacturing, for which it also has an exclusive fledgling distribution service for the robust Fantasy Spas range that was launched at SPATEX last time round. During the three days of the 20th anniversary edition of SPATEX, Certikin will be following up its previous launch of a trio of rugged ‘plug and play’ Fantasy Spas hot tubs from Watkins Manufacturing with another brace of models that are being introduced to the market this year. The company will also have experts on hand, including Certikin Director Ben Studdy, to focus on the exclusive launch of the two new Fantasy Spas models for its dealer network to target the entry-level market. Along with a substantial quota of experienced hot tub and pool staff to support the wide range of products on display on the two exhibition stands, Certikin Marketing Manager Cath Saunders will once again be patrolling the company’s display areas to provide current and prospective dealers with guidance on the latest additions that are joining the ever-expanding list of options for hot tub and pool specialists. “We always look forward to SPATEX as it provides us with the opportunity to promote the fact that we have so many products to offer to hot tub and pool companies,” said Cath. Leading hot tub and swim spa distributor and Aqua Warehouse Group chief Richard Hart will again be promoting his flourishing Aqua Spa Supplies trade service, which is proclaimed to be the fastest growing accessory distributor in Europe, during the service’s second outing at the Ricoh Arena. Richard, who supplies the L.A Spas and Vita Spa range of USA hot tubs and swim spas that have been promoted on exhibition stands in the past at SPATEX, has confirmed he will be occupying a similar sized area on Stand C66 as the one he adopted last year when Aqua Spa Supplies made its exhibitor debut at the 19th edition of SPATEX. “We will have the same kind of stand size as last time round to help promote all of our flourishing hot tub and pool accessories,” said Richard. Since its first SPATEX appearance as an exhibiting company Aqua Spa Supplies has increased its potential to cater for all demands of swim spa covers requirements from trade customers. This has been boosted with the launch of the innovative End2End product line in its growing stable of swim spa covers, which includes the fully-automated Covana Legend CS 1000 cover system that elevates and lowers with the simple turn of a safety key switch to help ensure access to the swim spa is easily, while also being extremely secure at all times. Richard believes the End2End covers will be a hit in the British market and has confirmed his Aqua Spas Supplies stand will be promoting the exclusive distributor status for the range at the 20th anniversary edition of SPATEX. The rugged USA-manufactured covers have steel frames fitted into their thick and durable covers; which are flexible to enable one person to easily roll it off partially or fully and are custom-built for swim spas up to 20ft. The seasoned hot tub and swim spa distributor is no stranger to SPATEX, having promoted his Aqua Warehouse distributor status of hot tubs and swims spas for USA brand Vita Spa when the event was hosted in Brighton that has helped to increase his status in the market. He will now be aiming to generate high levels of footfall that his stands have enjoyed at previous editions of the annual exhibition during his second outing with his Aqua Spa Supplies division. Along with the newly-launched ‘Grip O Cooler’, to help securely keep a Champagne bottle on ice on hot tubs, Richard and his Aqua Spa Supplies team will also be promoting a wide range of accessories such as cover lifters, vacuums, cleaning products including the Mytee Mitt and Life Spa Brush, fragrances, Spazazz Crystals, fun thermometers, the Aqua Spa Supplies Duck and Vita Duck and other ducks including Life Guard Duck, towels, steps, Smart Bar, Spa Caddy, the Spa Side Handrail and the Safe T Rail. Aqua Spa Supplies will also be providing details and comprehensive product information on various pool vacuums and spa filter cleaners during a special Aqua Spa Supplies Seminar in Arena 2 on Sunday, from 10:15am to 10:45am. “This will be our second year of having a dedicated stand at SPATEX for the Aqua Spa Supplies side of our Aqua Warehouse Group business,” said Richard, who has just completed his first year of distribution of L.A Spas products to UK dealers, following the USA brand being purchased by Vita Spa owners MAAX Spas. Aqua Spa Supplies Warehouse Manager John Mabey will be following up his attendance at last year’s SPATEX outing to help highlight the success of the Aqua Warehouse Group’s flourishing trade supply company. John believes that exhibition appearances have helped Aqua Spa Supplies to raise its profile in the wet leisure market. He also stresses that hot tub and swim spa dealers need to embrace the potential of wet leisure product accessories to help boost customer numbers and profitability. “By attending exhibitions to promote our Aqua Spa Supplies services and products we’ve illustrated that being proactive with promotional activities can reap rich rewards,” said John; “You always have to be progressing in this business and creating extra choice for customers. “In the past 12 months we’ve been ramping up promotion of our wide range of Aqua Spa Supplies products and services by attending exhibitions. This has proved to be a major success and has allowed us to effectively grow our presence in the wet leisure accessories trade supply market. “Accessories are becoming a big part of the wet leisure market and those retailers who are not embracing their potential are missing out on extra revenue streams that other dealerships are eager to pick up on. “They may not have the same high price tag as a hot tub or swim spa, but accumulated over time with the correct promotional strategy these extra items can all add up to provide considerable financial gains in the quieter months. “A product that we’ve introduced has been the ‘Grip-O-Cooler’ to help hot tub owners maintain chilled Champagne before pouring it in one of the handily-stored plastic champagne flutes. Spa Crest Europe chief Tony Welsby is another SPATEX loyalist who will once again be occupying a large stand. This will help to showcase his options of hot tubs including models from the Tuff Spas range, which are synonymous with extreme durability and unique integrated cover lifters that have made an instant impact with UK retailers after being launched to the British market at SPATEX 2015 last year. Tony also confirmed that he will also be using the exhibition to highlight a wide range of Spa Crest hot tubs, including the revamped Coastal range that has the four-seater 2015 WhatSpa? Best Buy Award-winning five-seater Hatteras, with emphasis on the unique qualities of the carbon fibre spa shells from the USA manufacturer. The Spa Crest Europe team will be promoting a selection of Tuff Spa models to SPATEX visitors, as well as enhancing the awareness of the Brand2Go scheme that allows retailers to promote their exclusive branding of USA manufactured hot tubs. With a new extension freshly signed for the exclusive distribution of Tuff Spas to British dealers Tony will be occupying the same location in the Jaguar Exhibition Hall as last year on Stand D51 to promote success for the brand, including a WhatSpa? Best Buy Award for the TT650 model, which has been achieved by the Arizona-based manufacturer and its British dealers in 2015. Tony has revealed that trade visitors to his stand will gain an exclusive opportunity to view a selection of new Spa Crest and Tuff Spas models, including the seven-seater TT450 Tuff Spa, which are being provided to British dealers this year. “Spa Crest Europe is excited to be exhibiting again at SPATEX at what we consider to be a great venue in the Ricoh Arena,” said Tony. “We will have a number of new products on our stand from both our Spa Crest lines and Tuff spas, which have gone down unbelievably well in 2015. Dutch hot tub and swim spa specialist Passion Spas will be implementing a double display presence on Stands H66 and H21 to build on its previous SPATEX appearances to promote its latest product innovations. These include the new entry-level Repose, the fully-featured Desire, and the high-end Felicity, as part of its strategy to expand its international dealer network. Development work has commenced to extend the company’s headquarters in Holland and Passion Spas founder Dolf Nieland is keen to promote the fact that the company’s dealers will be able to take advantage of a constant supply of new models like those that have been showcased at high-profile European, USA and Canadian exhibitions during the past 12 months. “Our aim is to constantly expand our range of hot tubs and swim spas every year to give our dealers and their customers a much wider choice,” said Dolf. Wellis has confirmed that it will be making its debut at SPATEX 2016 on Stand B2 after conducting a major European exhibition tour to promote unique features in its new product offerings. The Hungary-based manufacturer has been making great strides in the British market and will be providing details of its fledgling distribution partnership in the UK with Rob Carlin and his Chesterfield-based Superior Spas outfit, which will be occupying Stand B4, and their latest hot tub and swim spa models during the 20th anniversary exhibition. These include new swim spa designs for 2016, as well as the the indulgent single-person WELLONE, which provides Wellis MicroSilk Oxygen Therapy; and Dabassy that incorporates the new touch screen SpaTOUCH system and a unique acrylic filter unit. They are part of a flourishing stable of models in the RoundLine, HighLine, NorthLine, CityLine and OceanLine ranges that are complemented with accessories including the Wellis Spa Umbrella, Wellis Towel Bar, Wellis Spaziano Tray, and WELLISTEP. Rob Carlin said: “We really want to enhance the presence of this brand and believe this will be an ideal opportunity ahead of the new season. Spanish manufacturer Aquavia Spa is another exhibitor that managed to grab one of the last remaining stand spaces in the Jaguar Exhibition Hall and will also be aiming to increase its presence in the British market during SPATEX with its ‘Made in Europe’ credentials and unique hot tub product designs. In recent years the hot tub brand has been gaining significant ground in the European market due to its stylish designs that are finding favour with dealers seeking alternative options for their discerning customers. This year the company has targeted the SPATEX 20th anniversary audience to kick-start its UK promotional activities and gain additional retailers on Stand H5 to add to its fledgling British dealer network foundation that has been established in recent years. A decade ago a multi-million euro injection of capital funding was the catalyst to creating a cutting-edge Aquavia Spa production facility in Cervera near Barcelona to compete with established international hot tub manufacturers and flourishing European brands. In the intervening years the brand has achieved a WhatSpa? Best Buy Award accolade recognition and expanded its dealer network following appearances at international exhibitions. The manufacturer launched its distinctive four-seater Cube design in 2011, which comes in at 231 x 231 x 78cm, and its introduction to the British market was then rewarded with a 2014 WhatSpa? Best Buy Award in the £12,000 + price category. Additional diverse hot tub models, with unique features, have been created at the Spanish factory to compete with the historic brands that have cornered the global and European markets. Four dedicated ranges include the Exclusive, for owners requiring sophisticated design; Premium, with elegant and fully-equipped models; Aqualife, providing contemporary functionality and value; as well as the Professional range for commercial and public use. “We want to highlight that we can offer dealers a wide range of quality models and designs that are all manufactured in Europe,” said Aquavia Spa Company Manager Artur Deu. A number of industry heavyweights will also be among the sold out exhibitor line-up making a happy return to the Ricoh Arena after successful outings in 2015. These will include Elite Spas, Golden Coast, LaMotte Europe, Hydrospares, SCP UK, and the Pollet Pool Group (PPG) that have all gained increased customers numbers following SPATEX appearances. SCP UK will once again be providing a broad range of hot tub model options and wet leisure products to current and prospective customers on Stands C32 and C35 during its successive appearance at SPATEX. The Beachcomber, Cove Spas, Dynasty Spas and Garden Leisure hot tub distributor has gained a raft of dealers in the past couple of years that have taken the Canadian and USA brands into their showrooms, while Cove Spas have proved popular with holiday park companies. Elite Spas will be returning for a second successive appearance at the Ricoh Arena venue of SPATEX to increase promotion of the blossoming UK distributor partnerships with USA hot tub brands Alps Spas and Aspen Spas that were launched during the 19th edition of the wet leisure showcase. Former BSPF President Issy Rickards Sanger and husband Kevin will be following up their successful previous appearance in the Jaguar Exhibition Hall to highlight two new swim spas and their current range of Elite Spas products and services on Stand B66, as well as the Alps Q Series models; plus a range of hot tubs produced for the British market by Aspen Spas. Last time round the couple launched the five-seater Obsession II from St Louis-based Aspen Spas, after concluding their 11-year association with Sunbelt Spas, and will be using the 20th anniversary edition of the exhibition to introduce new swim spa options for their dealer network. The Yeovil-based couple felt that the time was right to seek out alternative hot tub manufacturing partners after ownership changes were made at USA-based Sunbelt Spas. Along with the mid-range Aspen Spas, they will also be supplying models from the Alps Q Series to their Elite Spas dealer network in the UK. Hot tub and pool products specialist Golden Coast will also be returning for a successive outing at the Ricoh Arena to continue a long run of appearances at SPATEX, after booking two display areas of innovative wet leisure products to showcase to visitors at the 20th anniversary exhibition. The family-run company is also promoting the chance to win a cheque for £5,000 by customers purchasing DEL’s new Ultima pool cover system before December 16. With its double-stand presence on Stand B18 and B32 Golden Coast will be highlighting the results of its fifth Wet Leisure Industry Survey to visitors throughout the three-day exhibition, which has previously indicated increasing sales of saunas that the company specialises in as an established distributor of the Tylo range, which includes the Panacea model that was launched to the market at the 2015 edition of SPATEX. “The Wet Leisure Industry Survey provides information that is invaluable for identifying trends within the industry,” said GoldenCoast’s Managing Director Jamie Adams. Jamie has pledged that the family-run company will once again unveil a number of exciting innovations at the special edition of SPATEX. “We always like to inspire SPATEX visitors with innovative, state-of-the-art developments that will give their business a boost,” said Jamie. LaMotte Europe representatives will be returning for a successive appearance at SPATEX to promote the innovative LaMotte Mobile Waterlink Spin Lab on Stand E4 throughout the three-days of the exhibition to help build on the campaign to promote a ‘new spin on precision water analysis’. Previously the Mobile Waterlink Spin Lab technology, which has proved to be an instant hit in the USA, could only communicate via Android smartphone of tablet devices but has now been incorporated with the capability to utilise Apple’s range of mobile devices include the iPhones and iPads. Warwick-based Tim Schofield and his LaMotte Europe team will also be providing a free iPad Mini with every show purchase of 100 test strips. They will also be promoting the Insta-Link Home technology as a new way to test hot tub and swimming pool water thanks to a Smartphone app that can scan an Insta-Test strip to provide fast results. Tim has reported that there has been interest in the Mobile Waterlink Spin Lab technology among UK dealers, such as Vita Spa and Marquis retailer Chris Brady of 1 Stop Spas, but as yet the demand in the British market has not matched the success achieved in the USA and Australia. “The British wet leisure market has been fairly sluggish,” said Tim. “In the USA it’s become very popular with hot tub and pool specialists as they quickly realised how it can improve their services to their customers and also increase water treatment product profitability. “I’m not sure why the same success has not yet been achieved in the British market. If hot tub retailers are not willing to adopt this type of technology then they are missing out an efficient way to launch water analysis capabilities and improve their customer service. Tim reported that demand for additional supplies of the reagent disk from LaMotte USA’s Chestertown-based factory in Maryland has surged in the past year and the company, which will celebrate is centenary in 2019, is in maximum production mode to meet the supply requirement from its customers around the world. “This system has proved so popular that LaMotte is having to produce 40,000 reagent disks a day to try and keep up with the demand from customers,” said Tim. Rosie Cook and her brother John Ellis will be another hot tub and pool accessories specialist making a happy return to the exhibition after making their debut to highlight their Hydrospares company last time round. The siblings have been ramping up awareness of their company at UK exhibitions and will be promoting the Spa Hub and a full range of wet leisure accessories, equipment and products on Stand B55 during the 20th anniversary edition of SPATEX, as well as an annual membership to the Trade Plus scheme. Since its launch in the autumn, the ‘plug and play’ Spa Hub Pack has gained a great deal of interest from the industry. It is set to be a popular attraction on the Hydrospares stand at SPATEX as the pre-fabricated, fully assembled equipment system is ideal for commercial or heavy domestic spas and pools. One of its main advantages is that it can be tailored to any project and can be configured to operate more than one spa or pool. According to Hydrospares Director Rosie Cook, all of the Spa Hub Pack components are mounted to a frame and wired to a central control panel with a seven inch touch screen to control multiple pools and spas. “Our Spa Hub has already gained a lot of interest from pool builders and contractors as it is a plug and play system that makes installation a breeze,” said Rosie. “During SPATEX will be explaining how it can be tailored to any project and can be configured to operate more than one spa or pool. The Pollet Pool Group (PPG) traditionally employs a large stand area at SPATEX and will once again be utilising a similar presence on Stand B14 to heavily promote its distribution association with BAYROL. This includes its blossoming SpaTime water treatment products for hot tub dealers that will be on prominent display throughout the three-day exhibition. PPG’s Bayrol product expert and industry stalwart Jimmy Lamb secured new suppliers for SpaTime last time round and is convinced that the 20th anniversary exhibition promotion of the product will reap even greater rewards. “We’re looking forward to another successive appearance at SPATEX to enhance the awareness of SpaTime,” said Jimmy, who is once again providing his expert guidance as part of the Seminar and Workshop schedule during SPATEX. “During the past year we’ve continued to build on take up of SpaTime from existing customers of PPG and also those that had a previous relationship with BAYROL. We’ve also managed to attract a number of high-profile hot tub and swim spa dealers to supply SpaTime to their customers. A host of ‘new recruits’ will be among a bumper number of hot tub and swim spa brands that have signed up for SPATEX 2016 alongside a large list of wet leisure specialist exhibitors. These, with stand numbers, include: Alpha Industries C4, Aqua Spa Supplies C66, Aqua Stone Pool Finishes E33, Aqua Water Systems Ltd C16, Aquachek B35, Aquafinesse (UK) B33, Aquaflex Ltd F34, Aquamat Limited D30, Aquatrac (UK) D63, Aqua Via Spa H5, Aquinox A17, Ardex UK H9. Astralpool UK E50, Beaumosaic F18, Behncke GMBH B57, BOSTA UK Ltd F58, Bowman C37, Brenntag UK Group Ltd, Brio Group G35, British Swimming Pool Federation A1, Calorex Heat Pumps C14, Certikin International (with Caldera Spas and Fantasy Spas brands) D10 and D14, Coast Spas UK H15, Commercial & Specialised Diving Ltd G36, Complete Pool Controls F21, Cranbourne Stone A13, Cyrano Ltd F4, Designworks Tiles D2, Doughboy UK B16, Elite Spas (with Alps Q Series Spas and Aspen Spas brands) B66, Fairlocks Pool Products B50, Fibalon F10, GMT Spas International D33, Golden Coast B18 and B32, Guangdong PHNIX Eco Energy Solution B52, Heatpumps4Pools E2, Heatstar E58, Herborner Pumpentechnik B37, Hollan Aquasight B5, Hydrospares B55, Ice Energy Technologies F41, International Business Development F2, ISPE A21, ITS Europe F22, JAK Water Systems C5, Jetstream UK/Pool Supplies Ltd F20, Kuntze Instruments H11, LaMotte Europe E4, Legionella Control Association G19, Lighthouse Pools E40, Lo-chlor Chemicals A19, Lonza A15, Lovibond Tintometer E16, Lutz-Jesco (GB) C5. Other confirmed exhibitors include: Morgan Bros (Leisure) Ltd H1, Niveko s.r.o C52, Nsure A3, Oase D3, O-Care B61, OASE D3, Ocea Automatic Pool Covers D8, On Site Pool Linings G16, Palintest Ltd D32, Paramount Pool Products A7, Passion Spas E66 and H21, Peraqua F15, Plastica D34, Pollet Pool Group with BAYROL B14, Pool Chemical Products G10, Pool Cover Manufacturer G13, Pool Dek (supplied by Stage Systems) B1, Poollock UK F50, Procopi UK E8, Prominent Fluid Controls UK Ltd D66, PWTAG G34, SCP UK Ltd (with Beachcomber, Cove Spas, Dynasty Spas and Garden Leisure brands) C32 and C35, Spa Crest Europe (with Tuff Spas) D51, Specialist Toughened Glass Ltd G32, Speck-Pumpen B6, STA H19, Sprayed Concrete Services G15, STA B7, Sterling Hydrotech Ltd F36, Stoneworld (Oxfordshire) Ltd F16, Suntrap Systems E14, Superior Spas B4, Swimex Enclosures Ltd D1, Systemair Ltd H13, The Mosaic Company C34, Tiling & Pool Projects (UK) Ltd G36, Tornado Systems F8, Total Pool Filtration G17, Trend GB B59, Unipools Group G22, Water Management Society G19, Water Treatment Products Ltd E32, Waterco Europe E20, Waxman Ceramics B34, Wellis B2, Ziplevel F14. “I’m delighted that so many spa companies have chosen SPATEX as their exhibition of choice,” said Michele Bridle. “SPATEX can justifiably claim to represent the spa and hot tub sectors as well as the pool trade. It is clear how the exhibition has evolved over its 20 year history to make it the great annual industry event that it now is. Over the past 20 years SPATEX has helped to boost knowledge of essential water treatment procedures among its wide range of specialist seminars for hot tub and pool specialists. Organisers have also reported that 20 new workshops have been added to the SPATEX Seminar and Workshop line up by the Institute of Swimming Pool Engineers (ISPE) for the three days of the exhibition, which is set to see a repeat of the second seminar format that proved popular at last year’s event. As in previous years, attendees at all of the ISPE Workshops will be awarded with a CPD point on their Certificates of Attendance. “The 20th anniversary edition of SPATEX is much more than just a shop window on the latest products and innovations,” explained Michele Bridle. “We’re repeating the seminar success of our previous show by holding a second seminar programme. “This will include a ‘not to be missed’ seminar on new ways to market your company on the Sunday afternoon of the show given by two top marketing experts; as well as an important seminar for pool and spa plant operators by the Swimming Teachers’ Association (STA) on Monday afternoon. “On Tuesday, February 2, SPATEX will also be offering a whole day of seminars and workshops specifically geared towards those involved in the sale, maintenance or use of spas and hydrotherapy pools. Wet leisure marketing guru Dorian Davies, who made his debut as an exhibitor on his Doric Marketing stand at the 19th edition of SPATEX, will be providing an insight into marketing strategies during an hour-long seminar entitled ‘Why have a marketing strategy?’, which is scheduled to take place on January 31, from 11am to 12pm, in Arena 2. Golden Coast’s Aren Grimshaw, who has recently taken up the post of Associate Lecturer in Social Media at FalmouthUniversity, will also be sharing his wealth of knowledge and highlighting top tips in his hour-long Seminar during the first day of SPATEX. Entitled ‘Reach for the stars: The secret to winning new business through social media’, will run from 3pm to 4pm on Sunday, January 31 in Arena 2. As on previous occasions, the Arena will also be occupied with leading representatives from the wet leisure industry gathering for the British Pool & Hot Tub Awards industry Gala Dinner following the first night of SPATEX when the Eon Lounge will be hosting the 2016 BISHTA and SPATA Awards ceremony and the re-presentation of the ISPE Awards. After the second day of SPATEX 2016, there will also be an additional opportunity to socialise with members of the wet leisure market during the exhibition’s Mexican-themed 20th Anniversary Party and networking reception in the Arena’s Bar 87. “All visitors and exhibitors will be warmly invited for free drinks and delicious nibbles to the SPATEX 2016 20th Anniversary Networking themed party at the Ricoh Arena’s Bar 87, after the show closes for the day on Monday,” said Michele Bridle. Visitors to SPATEX 2016 will find that the Ricoh Arena has excellent access to the country’s motorway network and is just off Junction 3 of the M6 motorway. On arrival to the venue there are 2,000 on-site free parking spaces for those who are travelling by road. For those who are travelling to and from the Ricoh Arena by taxi there is a convenient drop off and pick up point outside the main Atrium entrance. A special Help Desk will be available for the first time at SPATEX at the entrance of the Jaguar Exhibition Hall to deal with visitors requiring any help or guidance. Michele Bridle and Show Co-ordinator Helen Mulingani will also be wearing white shirts bearing the SPATEX logo and are also available to deal with specific queries throughout the three days of the exhibition. SPATEX 2016 opening times for the first day of the exhibition will be 10am to 5pm on Sunday, January 31; and from 9:30am to 5pm on Monday, February 1. Once again there will be a shorter day on the third and final day on Tuesday, February 2, which will run from 9:30am to 4pm.